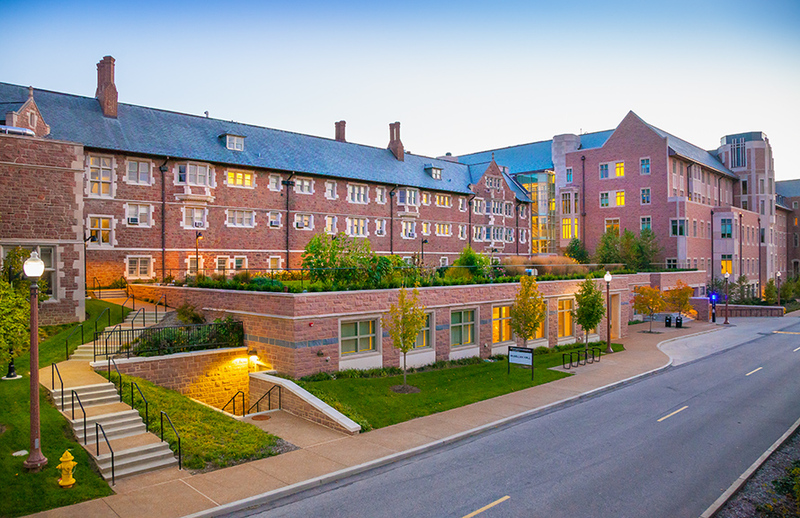 Professors and students tend the rooftop garden at McMillan Hall on Washington University's Campus. A seasonal trend for some, a lifestyle for many, the growing popularity of urban and rooftop gardens in the last decade has been significant. The development of the nouveau foodie persona, and the rise of the farm-to-table movement, have played a huge role in encouraging otherwise cement-treading, air-conditioned dwelling individuals to pick up a spade and bend from the waist for hours upon hours to tend a plot. The premise of the personal garden isn’t new, as many born-and-bred Midwesterners know. But the pique in interest has percolated deep enough to create a new breed of gardener, one that may eventually end up being studied by people like Washington University Professor of Ethnobotany, Gayle Fritz, who recently became a tender of a new rooftop garden herself. “We were building classrooms and laboratory teaching facilities, and they decided to turn it [the roof] into a green roof. And when I heard that I thought ‘Oh! I wonder if there would be any space for an anthropology teaching garden of some sort,’” Fritz says. Long story short: “They sort of let us…just do it,” she says, walking the perimeter of a patch of African Rice, stepping delicately over rinds from decorative gourds. 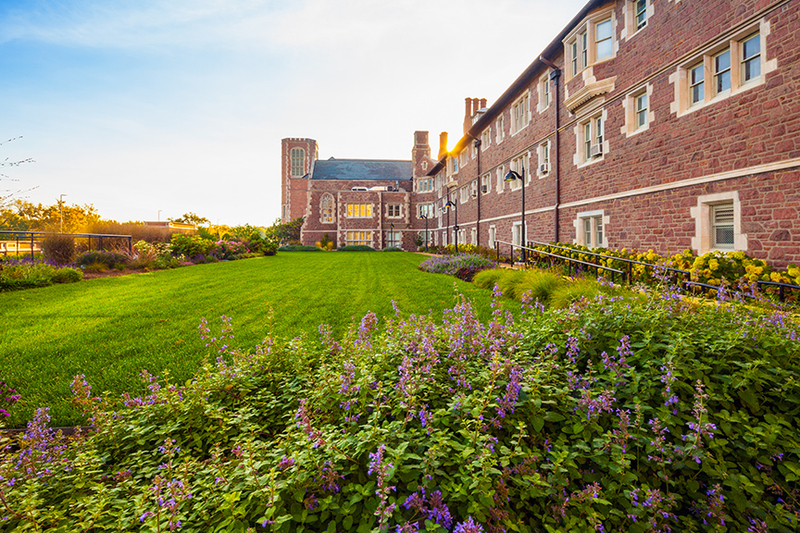 Since 2013, Fritz and her students have sowed the garden, planted just off of – and above – Old McMillan Hall at the Danforth Campus. 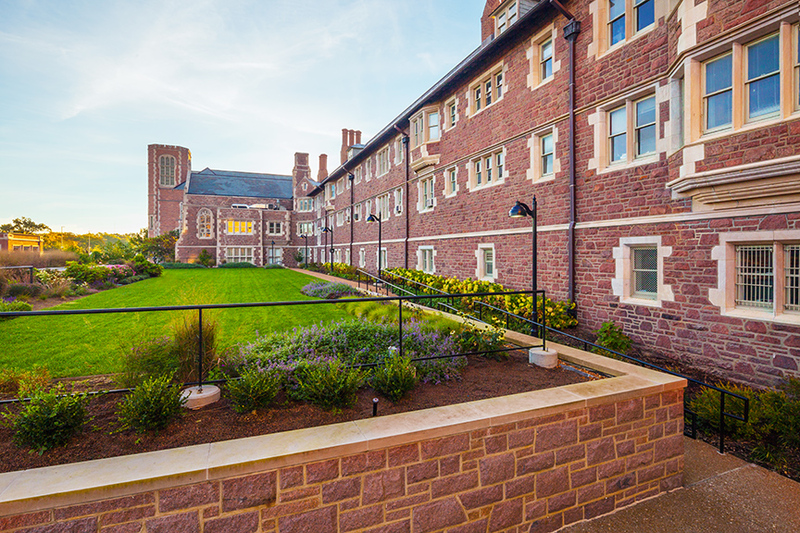 The rooftop garden is part of a 9,000-square-foot addition to McMillan Hall, completed by Mackey Mitchell Architects in conjunction with landscape architect James Fetterman of JFLA, now Arboslope Studio. “The first year I planted some seeds that I got from an organization called ‘Native Seed Search’ in Tucson, and then the next Fall I was teaching my Southwestern Archaeology and Early Ethnography course so I planted tepary beans.” Grown since Pre-Columbian times, Phaseolus acutifolius is a drought-resistant, small multi-colored bean that typically matures in October. “We harvested them, I cooked them, and we ate them the next week.” The stalks of last season’s yield lay against the barrier, ready to be cleared to make room for next year’s teachable moment. Using all true-to-type seeds the group studies the growth patterns, best practices, and yield nature of a variety of seeds, some donated by maintenance like passion flower, as well as “lost crops” pulled from the stacks of the archaeological survey and picked up on dissertation studies. New interest in heirloom varieties has brought some previously forgotten crops back to the community garden, rooftop, and eventually the table, adding a new frame of biodiversity to the mix that may very well have greater implications three millennia from now.